Girls have loads of accessories to play with. Close to half the time my wife spends in Forever 21 is in the accessories department. There she browses everything from ear ring to bangles to well little iPhone accessories even like this. This isn’t the case for us guys though. We don’t wear ear rings or little bangles. If we do wear something on our wrist it’s normally a little string or a wrist band. 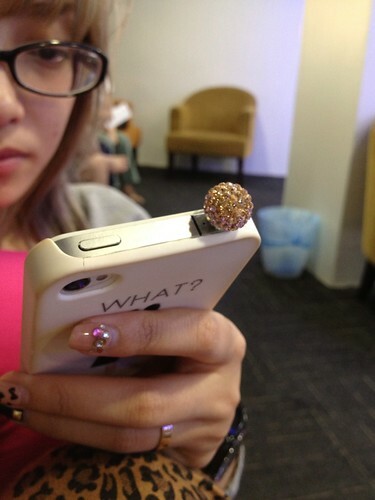 And I am yet to see a single guy that put a pink bow tie accessory on his iPhone’s antenna dock. It’s just not cool. Sure I look around my body and I wear a 16 year old choker that looks like this. A choker I have been wearing for the past ten years. 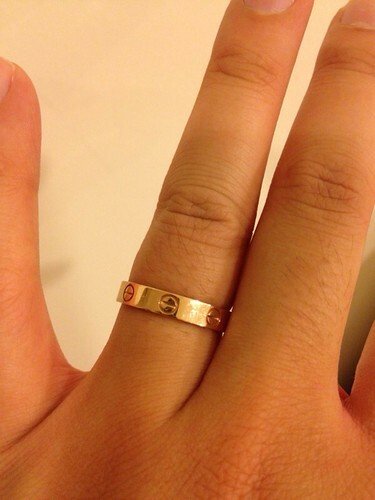 So long that the string around it seems to be giving way but I wear it not because its cool. But because its my lucky choker. When I recently told Shorty about it she kinda laughed. She said you don’t know for sure if its lucky right ? Well… Let me tell you the story. I was 12 when my brother gave me this gemini choker. But I never wore it. I kept it in a drawer and forgot all about it. The next time I saw the choker again was when I was 19 years old. It was a tough time for me. I was in college and I had just broken up with my first girlfriend. I was the biggest loser for a while after that. You know one of those mopey guys you see on TV that can’t get over their ex. One day though my friends decided they had enough. They came over to my house and dragged me out clubbing. 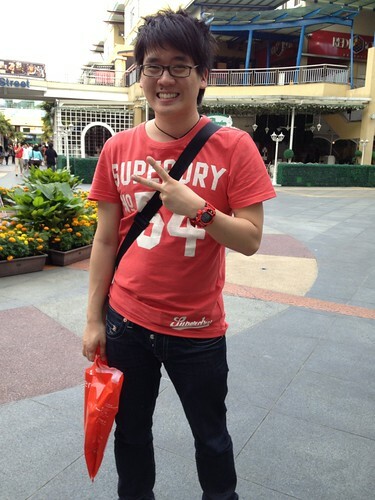 This friend of mine Chi Ying did what any girl friends did for the guy friends. She picked the right shirt and pants for me to wear (those were the days I used to wear khakis, oh the horror). When she was done with me she then said something was missing. I needed to accessorize. So she trawled through my drawers and found this neglected choker of mine. She took it out and with the help of another friend Muffy she tied it up for me. Once I had it on she stood back to look and me from top to toe and nodded in satisfaction. I was ready. When I went out that night I didn’t get laid or anything but I remember having a lot of fun (you may also interchange the word “fun” with “alcohol” in this sentence and both statements will still prove true). I however had so much trouble taking the choker off at the end of the night that I just left it on. Days became weeks and weeks became months to years. 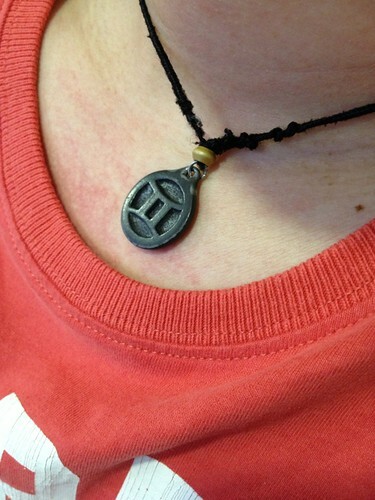 Years passed as I continued to wear my lucky choker and I started to get a lot of good luck. Think about it. 10 years since I put on this choker I found myself with this wonderful company we started called Nuffnang and ChurpChurp. I enjoy what I do, I travel the world for work and I got married to Shorty. So that is why this is my lucky choker and why I have always had it on. Coming back to accessories for guys, there is one other thing that guys wear. That’s watches. Girls have their designer handbags, guys have watches. We’ve always loved our watched since growing up. I remember when I got my first Casio when I was 12. It was a watch with a tiny calculator keypad. 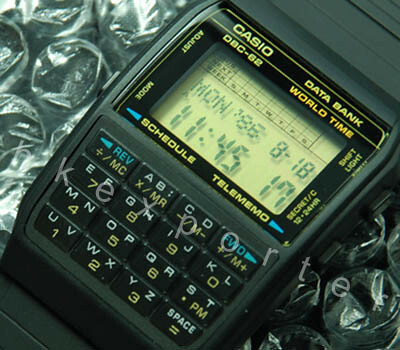 Those days just the thought of you having a calculator on your watch made you go “FUUYOOHH I AM THE MAN”. 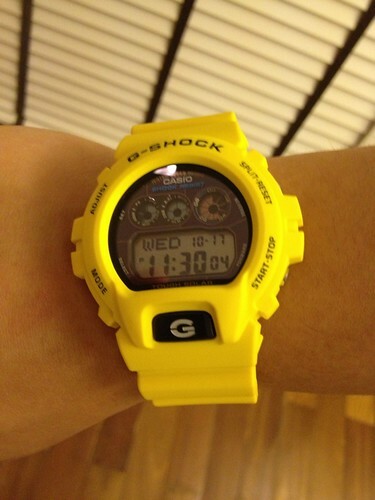 Then secondary school came and G-shock and Baby-Gs became the status symbol or the in thing. I begged my Dad for a G-Shock every day and he eventually ended up buying me two during the entire span of my teenage years. At university though I noticed things changed. Electronic watches started becoming a little childish and my friends started wearing Tag Heuer and the likes. Watches that I couldn’t afford. 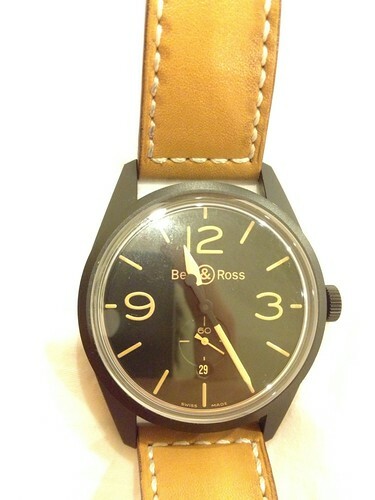 Now in my late twenties, as I end up hanging out with people older than me their watches too get more expensive. 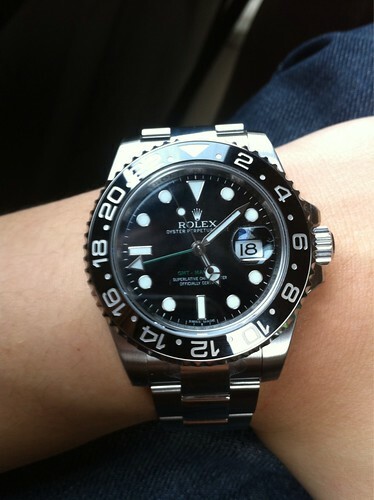 I start seeing Rolex, Panerais, Hublot… Watches that cost a lot of money. As for me, I have only to date bought myself one luxury watch. That was three years after Ming and I started Nuffnang and I had a little bit of savings. I remember taking a long time to think about it because it costs RM6k which is a lot of money. Ming said that I should. As a reward for working so hard. 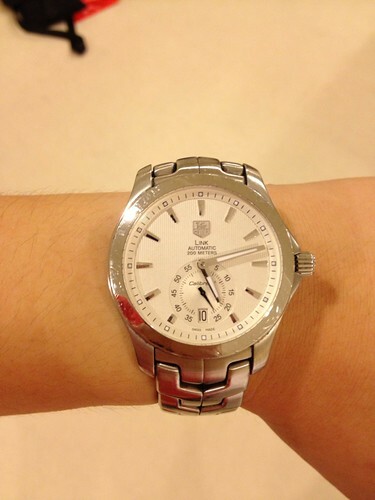 So I got myself this Tag Heuer. Since then I’ve been lucky to have been gifted some really nice watches. Ming gave me this for my birthday years ago. And Shorty’s parents gave me this Bell & Ross as a wedding gift when we got married. My parents too gave me a really nice watch but it’s one of my fathers old watches that I can never sell and must keep safe for the rest of my life. It’s nice wearing nice watches and I realize that guys do notice the other watches other guys wear. But I always fear losing them. So now I’m wearing a watch Ming just bought me. 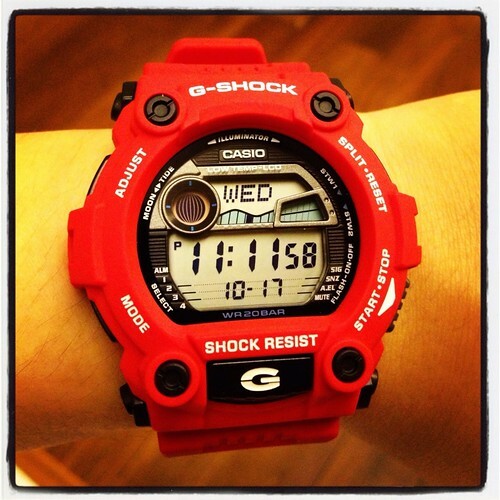 It’s a G-Shock and brings me back to my childhood memories. I love G-Shocks. They were awesome to me then, and they’re awesome to me now. Oh there is one other accessory I wear now apart from watches. 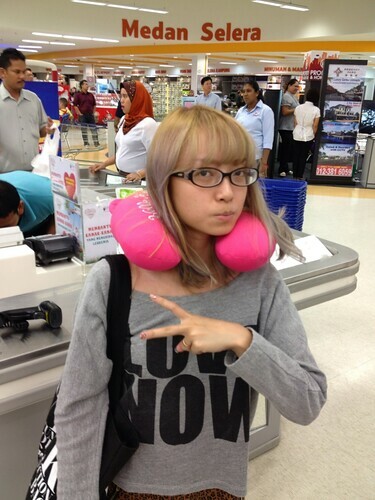 And Shorty’s latest accessory is a pink neck pillow.